At Bent Chair, they don't build homes, they build bent homes with their unorthodox furniture sets, lightings, and home decor accessories. Sometimes normal just doesn't cut it. That's the first thought that came to our mind when we stepped into Bent Chair. With their extensive range of home decor accessories and furniture, the owners of the store, Krushita and Sagar Hindocha are determined to add a colour of pop to your otherwise neutral-looking home. Jazzy graphic prints, handwoven paintings, pop-coloured plates, pug-shaped night lamps, flying-cupid lampshade, this store will feed the home-decor-lover inside you. With a manufacturing unit in Ambala, each and every product at the store is made in India with in-house designers and karigars. The concept behind the store is to play around with colours and shapes. Get the 'junglee' side of you out at their Tropical Corner - that has a leaf table, ketan sofas and chair with handstitched applique work, and wall hangings. 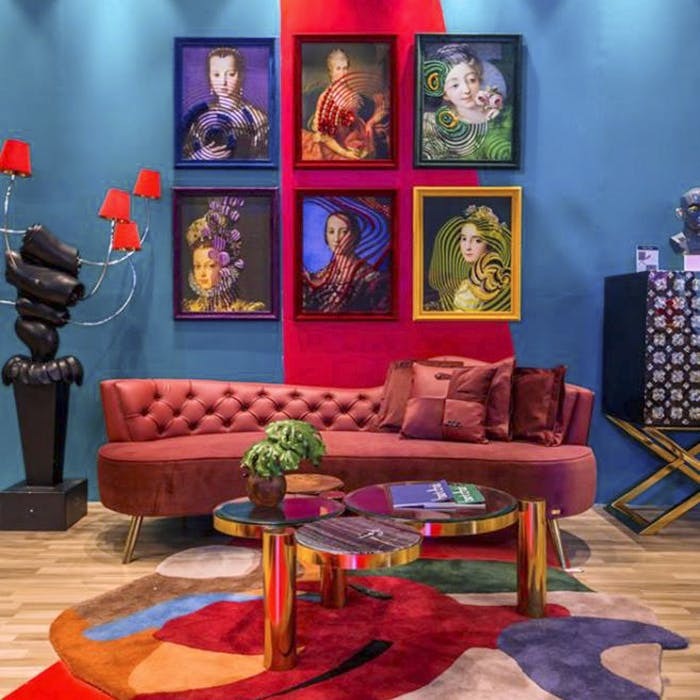 They also have a vivacious furniture set and paintings by the designer, Rocky S. Give your house a regal look with their side table and their head sculptures almost remind you of the ones you see in the movie Gladiator. The key to a classy living room is to balance it out. If you go with a subtle and simple L-shaped sofa, go with heavy decor hangings that will be the statement wall in the house. Chennai [peeps will love their classy cane bar chair (out-of-the-box is what this one is). Be utmost in peace in your bedroom with spotlights, cupid danglers, and a writing table with a pooch lampshade. If you are looking to doing your office space, check Bent Chair with a conference table, a lampshade that resembles the roots of a tree, quirky center tables and comfortable furniture for those long meetings. We bet their kettles will convert any non-tea drinker as they come in the most unconventional designs - coasters, TV, scooters, and radio. The furniture range begins from INR 15,000. A set of six plates are priced from INR 4,100 onwards. Finding a spot to park the car might be a little bit of trouble. Don't miss the plate wall with a range of wacky graphic designs and pop colours plates.